The Longleaf Tee Initiative, from the American Society of Golf Course Architects Foundation, increases course playability and golfer enjoyment for players of all ages and skillset. Golf course operators, teaming with a golf course architect, strategically expand existing tee complexes, which increases rounds, and improves pace of play and the facility’s bottom line. The goal is for all players to enjoy the game while maintaining the design integrity and challenge of the layout. The initiative is modeled off of the renovation of Longleaf Golf & Family Club in Pinehurst, North Carolina. With the assistance of Bill Bergin, ASGCA, Longleaf added multiple tee locations – as many as seven per hole – at yardages that encourage players to tee off from locations based on how far they carry their drive. “This will improve pace of play and increase enjoyment for everybody on the golf course. The Longleaf Tee Initiative is not a “cookie cutter” program. Since each golf course is unique, the implementation of the tee system will vary based on course design and layout. Additional implementations of the Longleaf Tee System are being implemented at Medinah No 2 in Illinois (Rees Jones, ASGCA Fellow and Steve Weisser, ASGCA), and Sugar Creek Country Club in Texas (Jeff Blume, ASGCA). 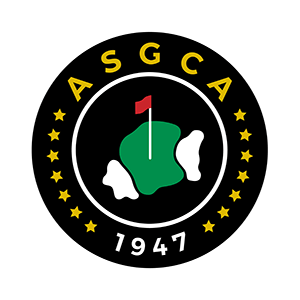 To find an ASGCA member, click here. If you have any questions concerning the Longleaf Tee Initiative, email peter@asgca.org. Simsbury Farms was one of the golf courses selected to receive a pro bono consultation from the United States Golf Association and the ASGCA Foundation. One of its goals is to make the golf course become more inclusive to all skill levels and groups. Members at Sugar Creek Country Club will soon be able to play on the newly renovated Robert Course (one of the three sets of nine holes at the club), which not only includes new golf holes, tees, greens and fairways, but a new set of short tees designed to accommodate players of all skill level. The club’s general manager, Gordon Wagner, says that the renovation with Jeff Blume, ASGCA, has proved an ideal opportunity to take the club’s oldest—and, previously, least desirable—nine holes of golf, and turn them into something fun. “The plan has been to make the course more appealing to everyone—children, families and older players, particularly those that are considering downgrading their membership,” he explains. Wagner first came across the concept of multiple tees after reading an article in Club and Resort Business in 2015 by Bill Donohue, which talked about kids’ tees, short tees, quicker tees and so on. “The article mentioned a successful initiative at a club in Michigan, which not only built in new short tees, but changed its program so that for three to four days a week, the course was designated for short tees,” Wagner explains. Jan Bel Jan, ASGCA, introduced the concept of ‘scoring tees’ in 2011, when she worked on a project at Green Valley Country Club in Greenville, South Carolina, to open up the game to more players than ever. She has since expanded the concept at Pelican’s Nest Golf Club in Bonita Springs, Florida, by using on-site fill generated during the renovation of the Club’s Hurricane Course to add scoring tees. The concept is based on locating scoring tees forward of existing tees in such a way that penal hazards are either eliminated or can be managed more easily. At Pelican’s Nest there are seven different sets of tee markers, which are indicated with Roman numerals.Scoring tees have their own designation, the ‘S’ tee, with their own scorecard and ratings for men and women. In 1987, Dan Maples, ASGCA Past President, took 170 acres of North Carolina land and designed and developed a golf facility that included a clubhouse, driving range, tennis courts and more. Longleaf Golf & Country Club held its grand opening in November 1998.
him on page 12) to bring their vision to reality. They renamed the facility Longleaf Golf & Family Club. A key feature of the redesign was the conversion of the club’s traditional four tee pads per hole to a new system developed by USKGF. Following extensive data analysis, it was determined that on any given course there would ideally be a total of 600 yards of separation over a typical 18-hole layout between each tee marker option. Beginning with 3,200 yards from the forward tees, most golf courses can be fit with six, seven or even eight yardage options to choose from. The gap between markers on each hole is about 30 yards, but that decreases on par threes and increases on par fives. With a broader range of tee locations, every golfer, regardless of skill, can play at a good pace, shoot lower scores, and have more fun. At Longleaf, they settled on a seven-tee system, following the principles set out above but also factoring in the course’s topography, choosing locations that facilitated ease of construction. per-tee could be reduced, and many existing tees could be reduced by simply adjusting mowing lines. The back tees and more heavily-used middle tees may hold more than one set of markers each, and are respectively about 800 sq. ft. and between 900-1,200 sq. ft. each. The forward two-to-three sets of tees are smaller, approximately 400 sq. ft. each. With the tees in place, the next challenge for Longleaf was to communicate the system effectively to golfers. A crucial part of this is clear signage. “The charts and illustrations elevate this over other tee initiatives. From the pro shop and range to the first tee and scorecard, it is all packaged in a way that encourages more players to play from the correct tees,” says Bergin. On the practice range, there is a guide for golfers that shows which tees they should use, which is determined by the distance they hit their drives. This summer, a project to restore the No. 2 Course at Medinah Country Club is set to reach completion. Work at the course is being led by Rees Jones, ASGCA Fellow, and Steve Weisser, ASGCA, under the guidance of Medinah’s director of golf course operations Curtis Tyrrell. Their aim is to restore the course to the original design of Tom Bendelow, but they’re also introducing some exciting new features to make it more attractive to players of all abilities. The No. 2 course is the club’s shorter course, and has always been popular with higher handicappers, ladies and juniors. Recognizing that it needs to stay relevant and do what it can to make the course more fun to play, the club has gone ahead with plans to introduce its ‘Golf For Life’ program – a unique set up, which involves multiple sets of tees per hole to appeal to golfers of all skill levels. What makes ‘Golf For Life’ unique is that it offers up a comprehensive program designed to help players build up the skills they need to improve their game. Each member meets with professional staff for a game evaluation, is assigned one of seven tee boxes as starting point, and then begins a structured system for improvement. Sereci says that the club has already begun explaining the program to its membership, and they have embraced it. “All of the measures we are putting in place are designed to make playing golf at Medinah more vibrant and fun,” he explains. *For the full By Design edition on the Longleaf Tee Initiative click here.